Say Hello to the Amazon Deal Generator! This is the latest and greatest thing in creating Amazon deals fast. When we were trying to find way to automate deals but still keep the quality up we came up with this. You find the deal and enter the ASIN and WHAM you have a post in seconds! 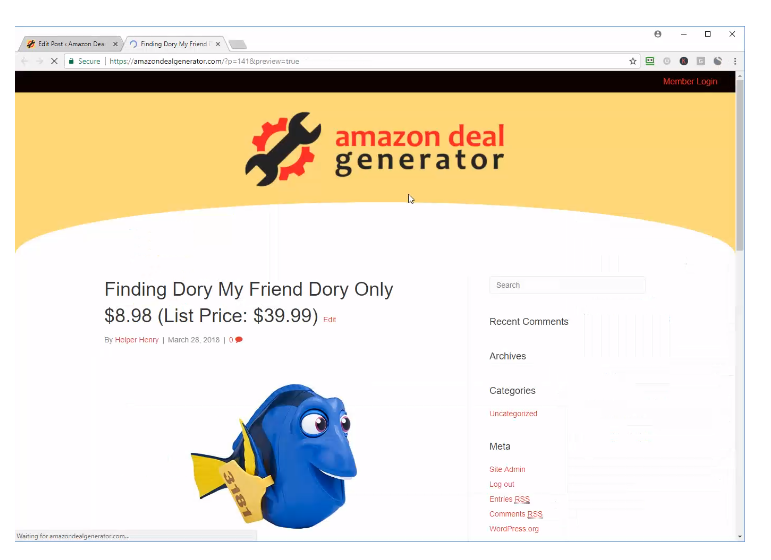 As you can see The Deal Generator (TDG) does exactly as it’s name describes…It generates Amazon and Walmart Deals in seconds! You can easily create two to three times as many posts in one day using the same amount of man/woman hours. Maybe even less. It really does only take a few seconds to create a post! Just imagine how much more you can be making! Check it out if you want to How to Automate a Amazon Affiliate Deal Site!